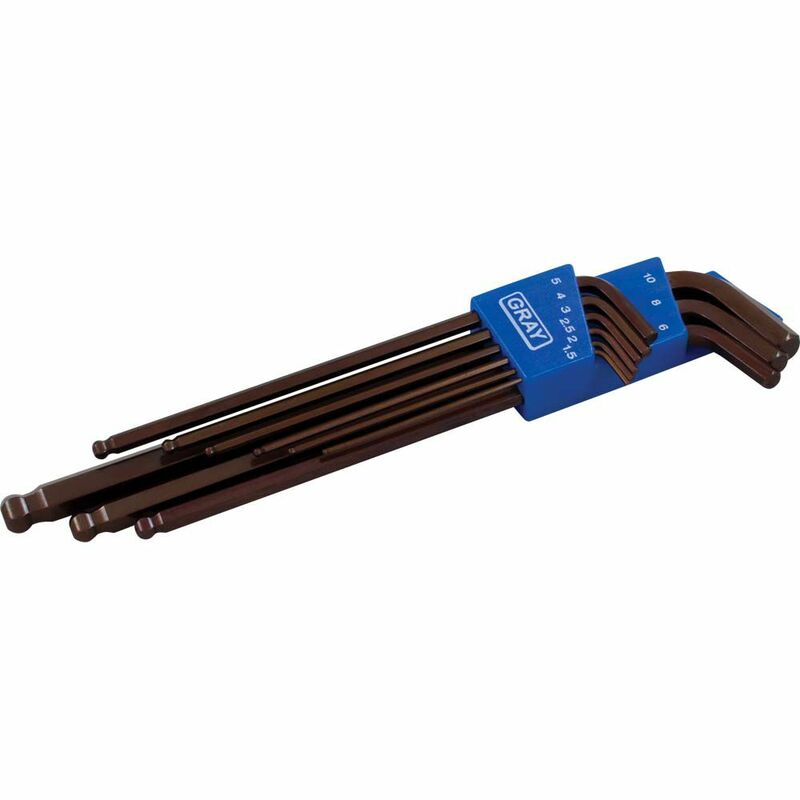 The short ball end hex keys in this 9 piece metric set are made from premium S2 steel for superior durability and corrosion resistance. Gray hex keys deliver up to 33% more torque than ordinary hex keys. Backed by Gray Tools worry-free lifetime warranty. 9 Piece Metric Extra Long Arm Ball Hex Key Set The short ball end hex keys in this 9 piece metric set are made from premium S2 steel for superior durability and corrosion resistance. Gray hex keys deliver up to 33% more torque than ordinary hex keys. Backed by Gray Tools worry-free lifetime warranty. 9 Piece Metric Extra Long Arm Ball Hex Key Set is rated 2.0 out of 5 by 1.